You don't have to let osteoarthritis, the most common form of arthritis, stop you from staying active as you age. Also called degenerative joint disease, osteoarthritis is the progressive breakdown of cartilage, a joint's natural shock absorber, and its underlying bone within the joint. Firm and rubbery, cartilage covers the ends of bone to reduce friction. It also has the ability and qualities to change shape when compressed, like Play-Doh. Unfortunately, as cartilage breaks down, bones start to rub against each other, causing pain, grating, crackling sounds, swelling or stiffness. The most common joints affected are the hands, knees and hips. Estimates from the Centers for Disease Control and Prevention indicate that about 27 million Americans have arthritis. "Osteoarthritis is the signature medical issue of baby boomers," says Dr. Robert Sallis, co-director of sports medicine fellowship at Kaiser Permanente Medical Center in Fontina, Calif. However, osteoarthritis is not a natural part of aging and something you have to just put up with. You have a lot of options to manage it in order to delay or prevent surgery. Self-management and medications are the first line of defense. Genetics, excess weight and prior injuries, such as cartilage tears at an early age, can contribute to osteoarthritis. Those younger patients who suffer cartilage tears in high school, says Dr. Sallis, show significant arthritic change by their mid-30s. It's not only a baby boomer problem, as degenerative changes can also begin as early as the teen years. Most alarming is that one out of 250 U.S. children have some form of arthritis. Losing weight, at any age, will result in symptomatic relief. A study in "Arthritis & Rheumatism" showed that losing just one pound brought a fourfold reduction in knee-joint load among overweight people with osteoarthritis. Moving is the first line of defense, but it's important to rest until you're pain free. "As our bodies get older," says John Koth, physical therapist and owner of Koth Sports Physical Therapy in Ketchum, "what we can accomplish in terms of athletics is no different than when we were younger—the amount of recovery we need is the only factor that changes. Allowing rest to recover between activity prevents overload and the inflammatory response to arthritis." Don't increase the stress on an already stressed area. One Tylenol, four times a day, to help reduce inflammation for mild to moderate pain, is the initial treatment recommended by The American College of Rheumatology. Non-steroidal anti-inflammatory drugs, despite cardiovascular and gastrointestinal concerns, in smaller doses, also help relieve pain. Capsaicin, an analgesic derived from chili peppers, can be used, as well as Bengay, although there is no real data on it. Also, very low doses of antidepressants are sometimes recommended. Supplements are unregulated, but these supplements seem to work for some people with knee osteoporosis. Although the research is mixed, they are much better than being on NSAIDs, says Dr. Sallis, and recommends them for his patients. Experts advise to stop taking them if you don't notice any difference in six months. These shots, three or four times a year, although they don't slow the disease down, can be helpful. Corticosteroid injections seem to work well with younger patients, when arthritis is not so advanced. Getting hyaluronic acid joint injections may also provide pain relief, though experts say it depends on symptoms and the other treatments that have been tried. Ice helps control swelling, more so than heat. Studies show that there isn't any benefit to the old thinking of heat and ice combinations. Canes or Nordic poles are helpful to unload forces to your knees and hips, especially when you consider that walking transmits three to six times your body weight across these joints for every step that you take. Core training and building muscles up around those very joints is crucial as well. Finally, Sallis also highly recommends an "unloader" knee brace, which shifts forces from one side of the knee to the other. Whatever you chose, don't let arthritis stop you from moving—make it your signature issue! 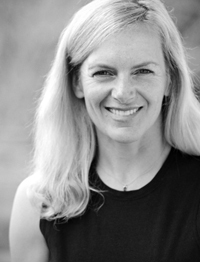 Connie Aronson is a health and fitness specialist at the YMCA in Ketchum.